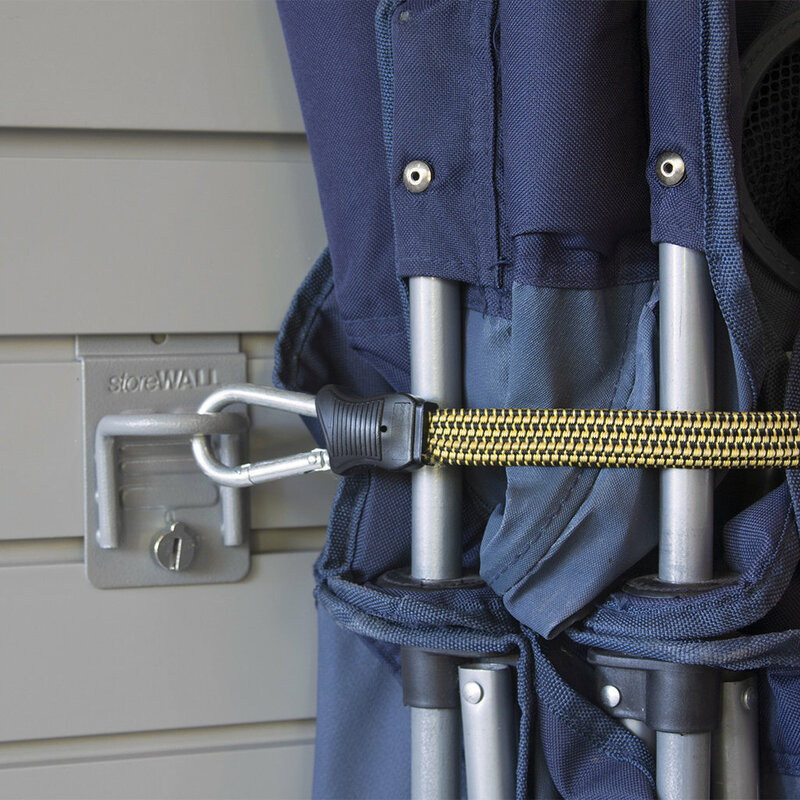 Medium Bungee Hook Set: Two closed loop hooks and our bungee cord can store a variety of items vertically on the wall, freeing up valuable storage space. 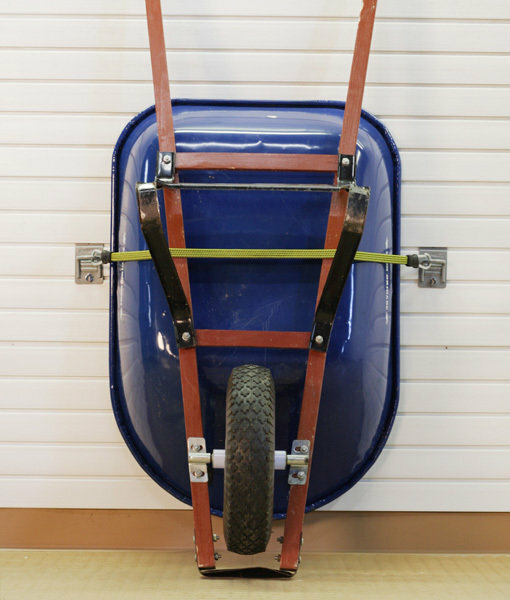 Wonderful for storing storm windows or ladders. The Medium Bungee measures 17″ without clips and extends to 54″ clip to clip, making it extra long. 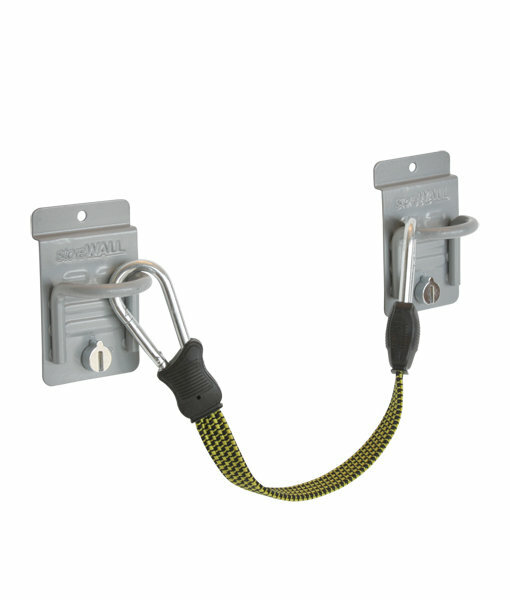 The bungee cord comes with a carabiner hook.